Of the 400,000 freelancers working in New York city, 36 percent reported being paid late in the last year, and 27 percent reported being paid less than they were owed. To combat the exploitation of freelancers, New York passed the Freelance Isn’t Free Act in 2017. It requires contracts for services worth at least $800 and payment within 30 days of service unless otherwise specified in the contract. One year later, it appears that law has directly helped hundreds of people who have had their complaints resolved under the law (and surely indirectly helped thousands more), but those who are often systemically excluded from full labor participation are still not realizing the full benefits. Many readers will see the word “freelance” and think of writers, artists, and other creative professionals. However, day laborers, especially those without immigration papers, often get paid by the job as well, as do other, more technically minded workers. And, as NPQ recently covered, many companies, such as Uber and Lyft, as well as some package delivery services, have made it part of their business model to pay people doing work for them as independent contractors rather than employees, a policy that has been challenged by the California Supreme Court’s recent Dynamex decision. A study conducted jointly by Upwork and the Freelancers Union showed that 57.3 million Americans, or 36 percent of the workforce, worked as independent contractors in 2017. A 2016 survey of freelancers found that 70 percent of freelancers would like to see more discussion of how to empower the independent workforce. The law strongly incentivizes settling over taking issues to court, so the majority of employers opted to go that route. 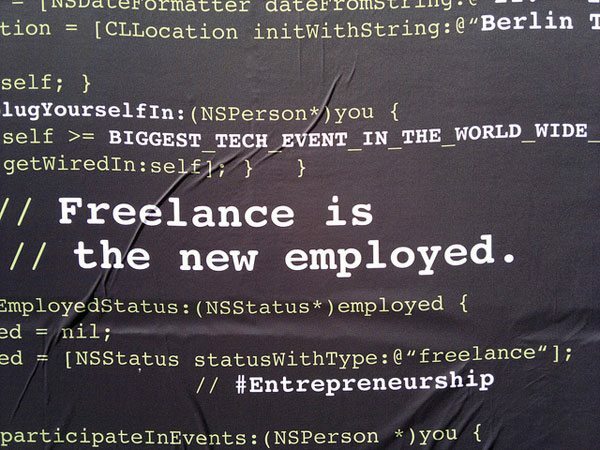 So far, nearly 300 freelancers have recovered a total of $254,866. We have also reported on the burden artists bear when asked to contribute to charity auctions for free. Because the only thing they can claim on their taxes is the cost of the materials, they lose money contributing work, creating a situation in which those without another source of income often can’t afford to be artists. This is a burden many creative freelancers share, in which they are asked to pursue their profession without compensation “for the exposure,” often for companies that could afford to pay them. Yasmin Nair, a writer for Vox, has declared she will not work for free for sites like Huffington Post or Gawker because writing isn’t her hobby, it’s her job, and deserves to be treated and paid equally. NPQ has reported before on the exploitation of freelance workers, when Larry Goldbetter, president of the National Writers Union, said, “This is widespread in the industry, and it’s very hard to deal with on your own. The clients and the publishers have more money than the freelancers do. And it’s a common practice for them to stiff people.” Fortunately, this law seems to be changing that for some. In other words, it seems the people who most need legal support for their claims are not aware of this law that could help them. The “Freelance Isn’t Free” bill seeks to protect contract workers from employers who refuse to pay them for work done.